Svetlana Khodchenkova spent winter holidays in Bali in the company of colleagues, as well as her former fiance - businessman George Petrishin. The actress has renewed relations with him a few months ago. "Sveta almost every year at this time spends holidays on the sunny island with friends. Among those, who always accompanies her, Julia Baranowskaya, Andrei Grigoriev-Apollonow, Sabina Akhmedova. This year Khodchenkova flew with George. He is familiar with all of her colleagues. The man has a wonderful sense of humor, tact. Sveta and he rocked at parties - it had to be seen! "- said a source close to Khodchenkova. After Bali, the couple went to Switzerland, where Khodchenkova on January 21 celebrated the 35th anniversary. 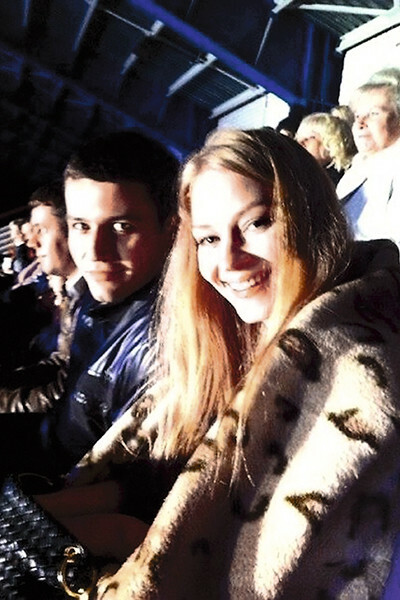 Recall, Khodchenkova and Petrishin had been dating for more than five years, and in May 2015 George made the proposal. But six months after the couple broke up. Sources say, it took George a long time to win back Svetlana's favor. Despite the fact that now the actress and the businessman together again, Svetlana tries not to rush things. "Sveta has a serious approach to the choice of a life partner. She is self-sufficient, strong, she needs confident and loving man "- told friends of the actress.